Arthur C. Clarke (编). German Rocketry, The Coming of the Space Age. New York: Meredith Press. 1967. 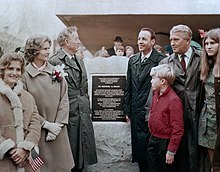 First Men to the Moon, Holt, Rinehart and Winston, New York (1958). Portions of work first appeared in '《这一周》杂志. Project Mars: A Technical Tale, Apogee Books, Toronto (2006). A previously unpublished science fiction story by Dr. von Braun. Accompanied by paintings from Chesley Bonestell and von Braun's own technical papers on the proposed project. ^ Robin Williams. 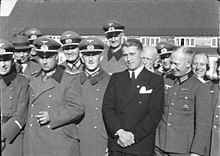 Wernher von Braun - Feature Articles. 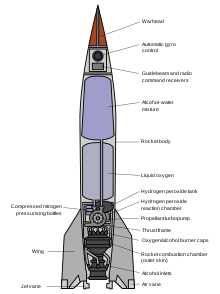 A portrait of Wernher von Braun. (Drawing by Roger Kammerer). NASA. [2014-02-17] （英语）. ^ Spires, Shelby G. Von Braun's brother dies; aided surrender. The Huntsville Times. 2003-06-27: 1A. 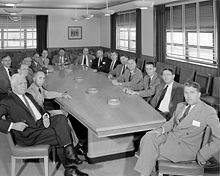 Magnus von Braun, the brother of rocket pioneer Wernher von Braun who worked in Huntsville from 1950-1955, died Saturday in Phoenix, Ariz. He was 84. 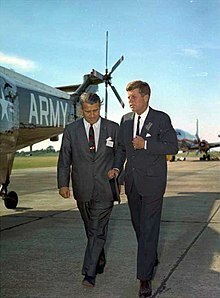 Though not as famous as his older brother, who died in 1977, Magnus von Braun made the first contact with U.S. Army troops to arrange the German rocket team's surrender at the end of World War II. ^ 6.0 6.1 Cadbury, Deborah. "Space Race" [太空竞赛]. en:BBC Worldwide Limited. 2005. ISBN 0-00-721299-2 （英语）. ^ 著名德国科学家被转移至美国(英). War Department press release. V2Rocket.com. 1945-10-01 （英语）. ^ 触及星空. 时代周刊. 1958-02-17 （英语）. ^ Stages to Saturn - The Saturn Building Blocks - THE ABMA TRANSFER. NASA （英语）. ^ Von Braun, Who Helped Put Men on Moon, Dies at 65: German-Born Scientist Succumbs to Cancer of Colon; Was Pioneer in Space Rocket Technology. 《洛杉矶时报》. 1977-06-17: A2 （英语）. 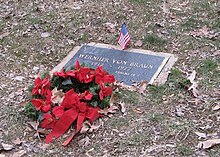 ^ Dr. Wernher von Braun. Find A Grave. [2008-08-09] （英语）. 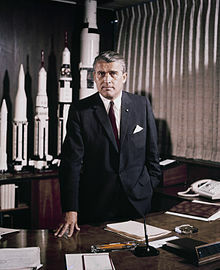 ^ Prof Dr Wernher Von Braun. Journal of the British Interplanetary Society March 1950 vol 9 No.2. 1950 （英语）. ^ Armbrester, Margaret E. The Civitan Story. Birmingham, AL: Ebsco Media. 1992: 95, 105 （英语）.